The aim of the three Solo Now! 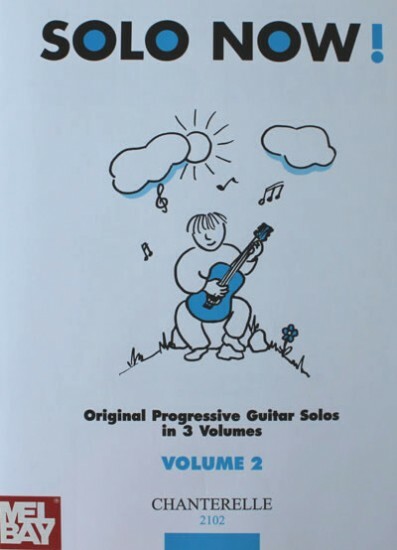 books is to provide the elementary guitarist with a progressive and stimulating collection of pieces that specifically develop one of the most fundamental guitar techniques-that in which the right hand-thumb and fingers combine to play mainly broken chord configurations using the triando stroke. Volumes 1 and 2 take great care to try to minimize the demands made on the left hand so that the student can focus on the formations of a stable right hand technique. In this volume 2, the technique of the left hand is used freely. For the left hand there is more double- stopping than volume 1, though many of the pieces still require the use of one finger at a time, with or without the sequential placing of an additional finger. This item is only available to Americas.